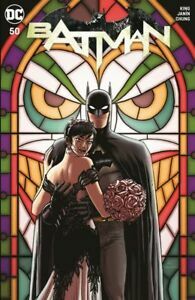 Details about Batman #50 Wedding Variant Catwoman Joker HOT!!! Nice book, fast shipping! Thanks! Perfect! Great Seller to order from. Thank you. Accurate description. Quick shipping. BEAUTIFUL COMIC. Thank you for the delivery of the magazine. Great Item! Packed well and shipped fast! A+++++ Seller!